Windows 8.1 is integrated with SkyDrive , through this you can sync files between your computer system and cloud server. This feature is very useful to deal with any types of data loss, for example: When system fails and you want to access your important data, then you can access them from SkyDrive with ease. 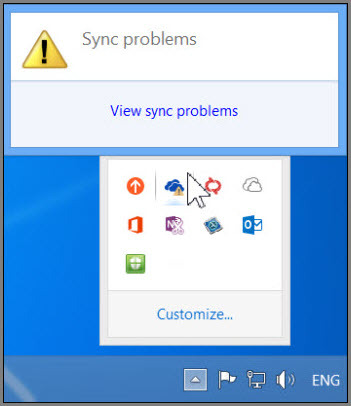 It happens only if you already sync your files to SkyDrive. 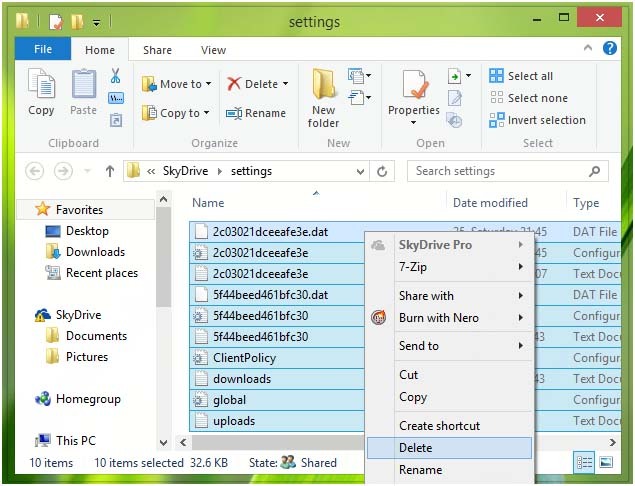 You can easily access all the synced files from SkyDrive; via web. 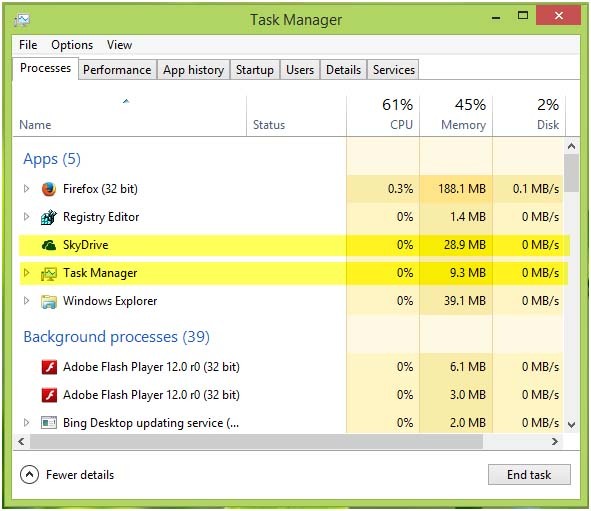 Step 1: At first step you have to close the SkyDrive app and File Explorer from the Task Manager. Step 3: Setting window will appear, choose all the items and Delete them. 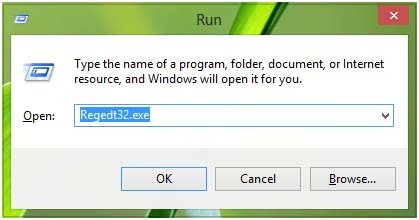 Step 4: After it, again open the run window by pressing Windows Key + R combination and type Regedt32.exe and hit Enter . Step 6: After navigating to this location, in the right pane search for the UserFolder named registry string and double click to alter it. 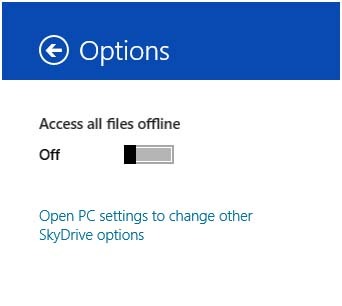 After it, in the following box enter the Value data for the correct SkyDrive folder, because you may find dissimilar location here since you’re facing the issue. 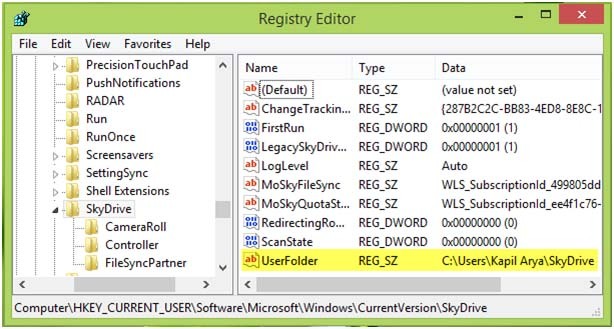 Step 7: Click on the OK and close the Registry Editor window. After it restart the system. 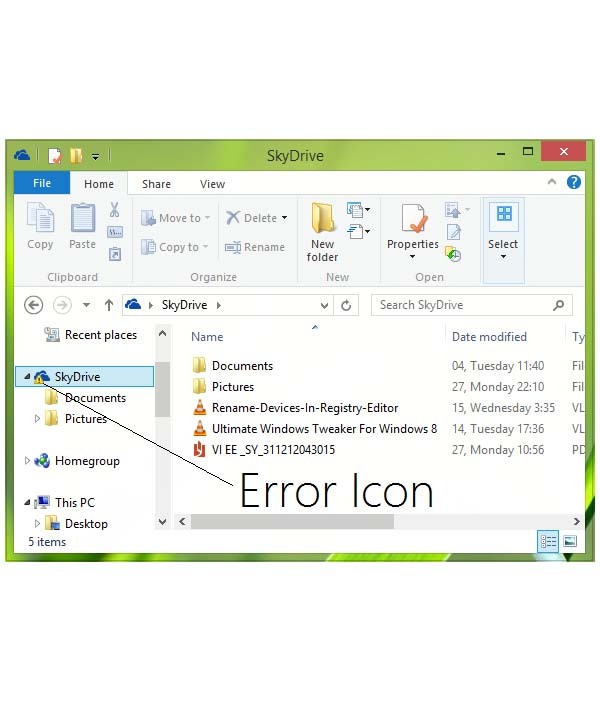 After rebooting your system you will see that SkyDrive is now able to sync all your files and the error exclamation mark has been disappeared. 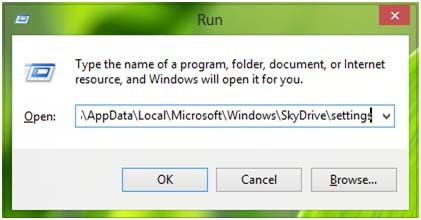 Step 8: Delete the SkyDrive.old folder and open the SkyDrive Modern App and press Windows Key + I, click Options. At last enable the Access all files offline option by moving the slider to On. Above given method is able to make sync process error free, by applying above given message you can sync entire your data with ease. It is also recommended to scan your PC with a professional registry error removal tool. Scanning your system is important in the manner to fix any hidden registry error with ease. A small registry error may affect your entire system so that it is suggested to fix registry issues and other system error with a professionally designed tool called PC Repair Tool.